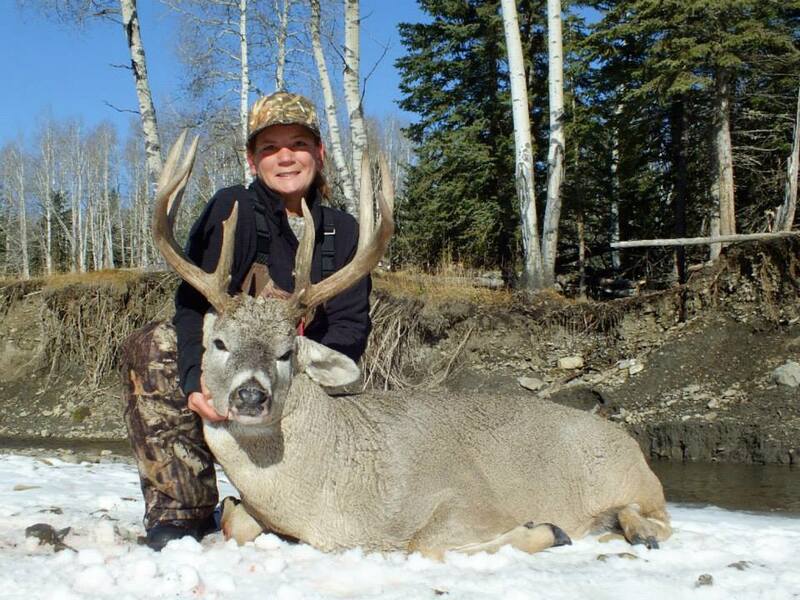 Alberta’s mule deer hunting ranks with the best there is. Whether you hunt the prairies in the south, the mountains in the west or the Peace River area in the north you’ll soon see for yourself the quality of mule deer Alberta is known for. 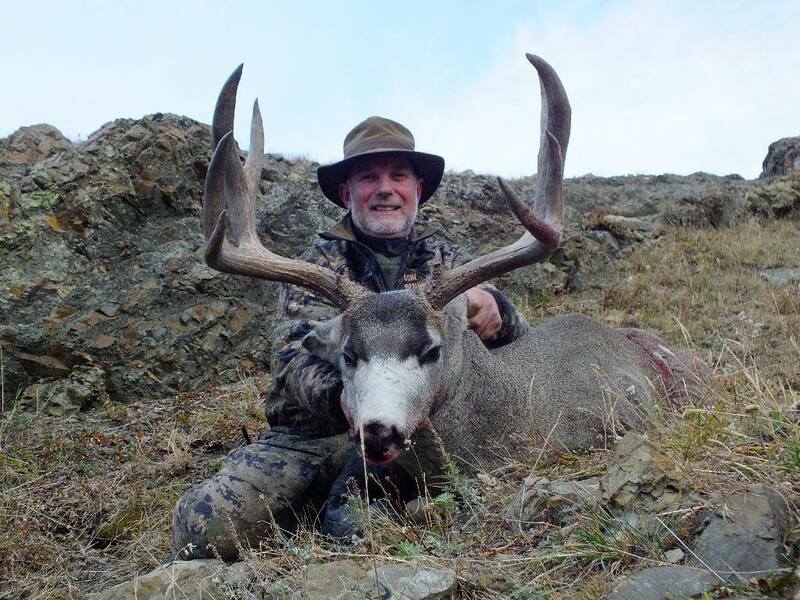 Many of our clients will see more true trophy class mule deer bucks on one hunt with Double Diamond Outfitters, than they’ve seen in all their previous hunting trips combined. Mule deer hunting in Alberta is truly second to none! The prairie deer hunts consist of four four-day seasons, which take place Wednesdays through Saturdays in November. The outstanding success rates and superb trophy quality keep this hunt in high demand. 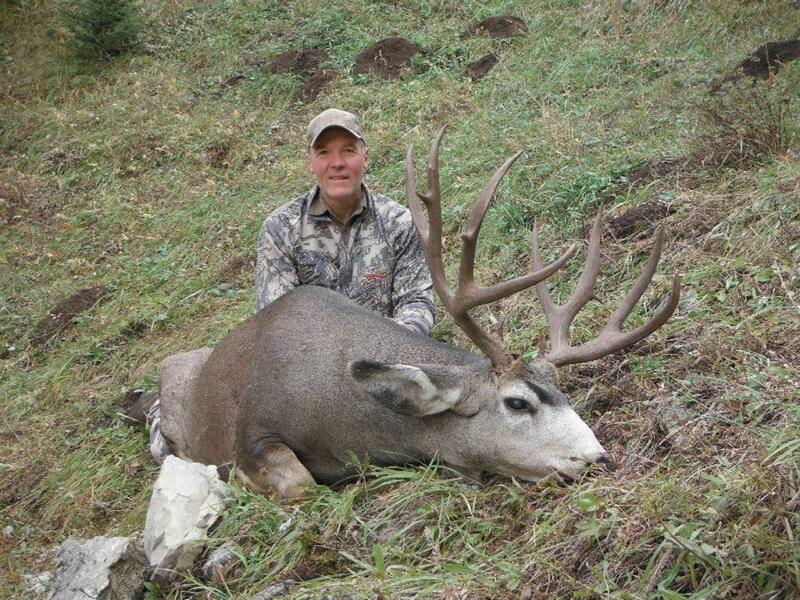 The area consistently produces exceptional trophy mule deer, which are the priority on this hunt. 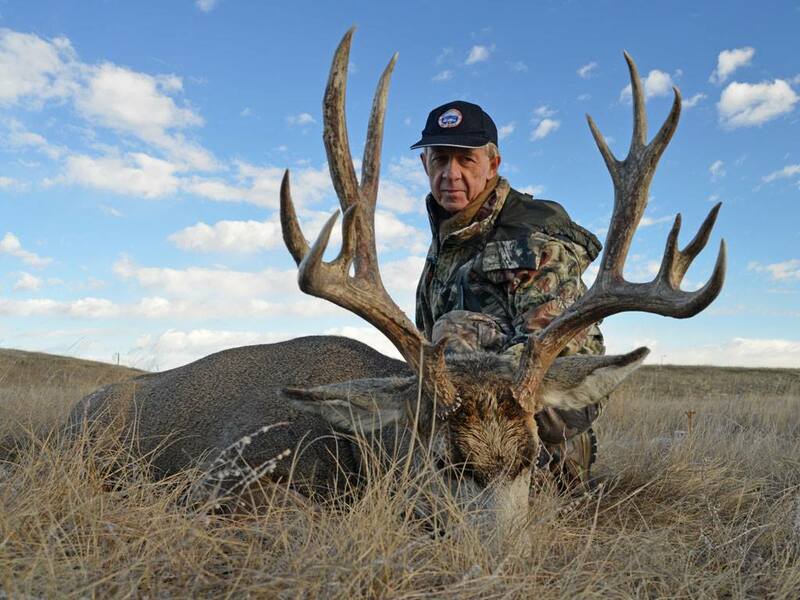 Some big whitetail bucks are also available, if you see one while hunting for that monster muley. The terrain consists of prairie grassland, grain fields, coulees and river bottoms. Most deer are taken at about 200 yards or so, though some longer shots on both mule deer and whitetails are possible in this open country. The deer season in our mountain zone begins in late September. 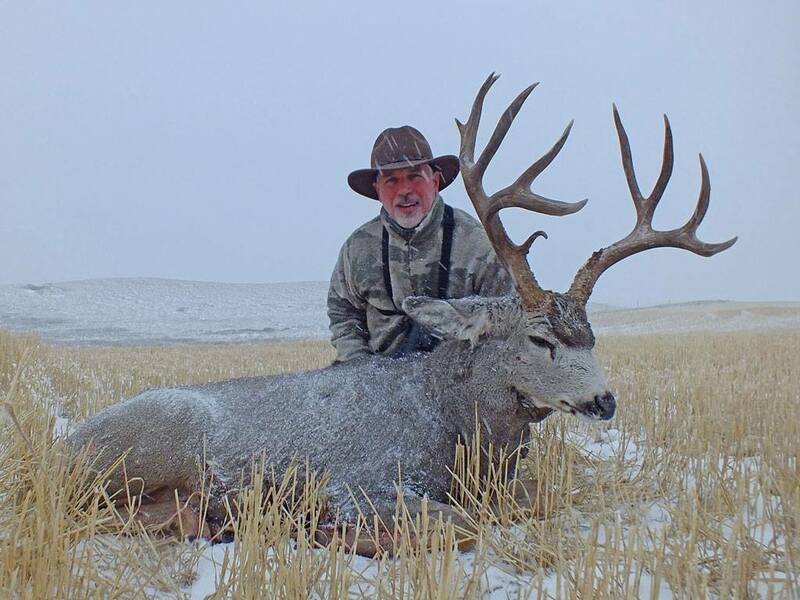 This is the time of year for you to hunt the high country for big mature muley bucks in their bachelor herds. For these early season hunts you can often combine mule deer with black bear, elk or moose. 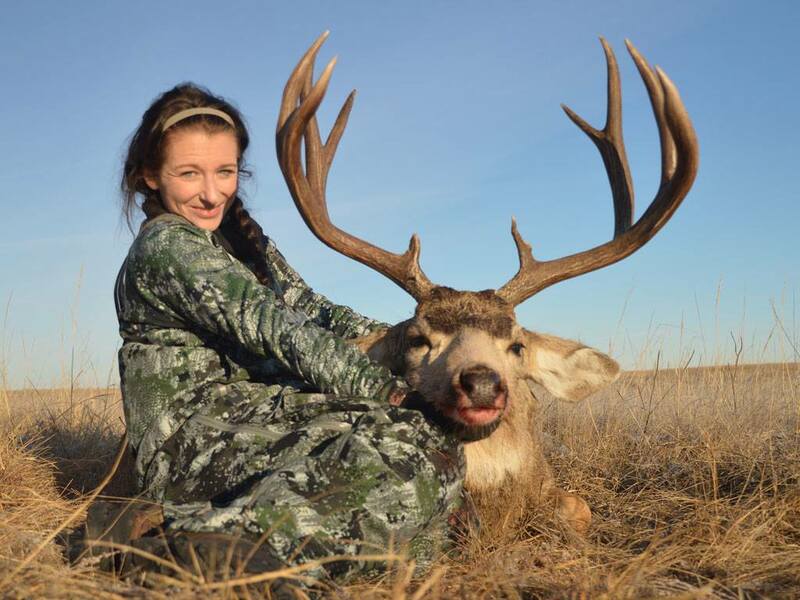 You can also combine mule deer and antelope, starting with pronghorn hunting on the prairies and then hunting mule deer in the mountains for the remainder of the hunt. The season continues through the rut, to the end of November. Big bucks that have spent much of their time in seclusion, now can be found in the lower elevations of the foothills as they search for does to breed. Starting the last week of October, whitetail bucks increase their activity as they enter the initial stages of the rut, making scrapes, rubs, etc. 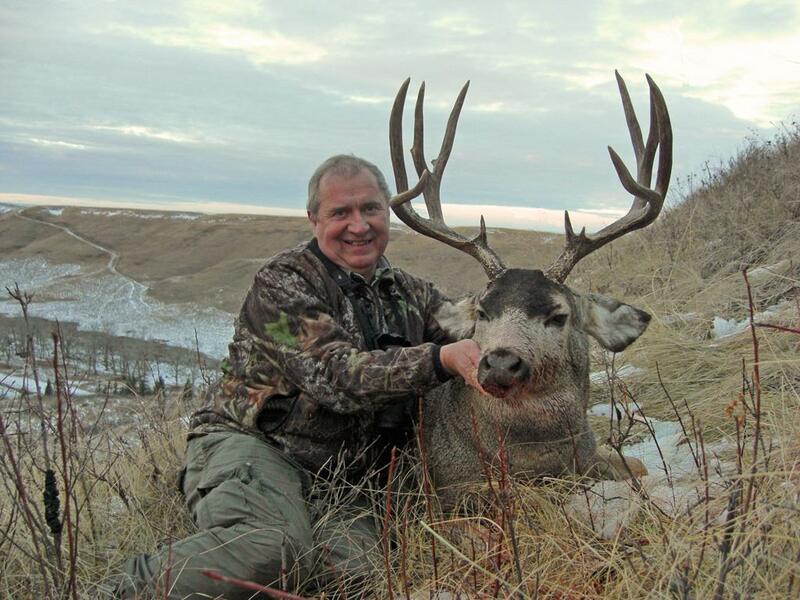 This is when you can begin hunting whitetail deer and mule deer together on our popular six-day combination hunt. For these hunts you will either take daily trips from our home with the horses and trailer to one of several trail heads that lead to our trophy deer hotspots, or stay at one of our wilderness tent camps. You can count on our long history of proven trophy producing areas, experienced guides to provide you with the best muley hunting anywhere. With hunts in the Rocky Mountains, foothills and prairies of southern Alberta, Canada, you’re sure to find a hunt that’s made for you.